Please note that this current website does not have a shopping cart. To buy our White Sage Bundles online, please go to our e-commerce website at NaturalExotics.ca. 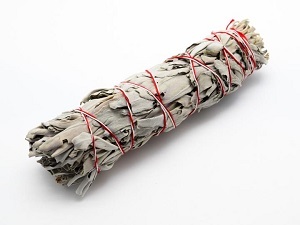 California White Sage comes in bundles. This sage is ideal for use in smudging ceremonies. Some customers even use it as a natural ladybug repellent. The 3" to 4" bundles are about 10 cm long and 2.5 cm wide and weigh 16 to 26 grams. The 6" to 7" bundles are about 15 cm to 18 cm long, 4 cm wide and weighing 73 grams. The 8" to 9" bundles are about 20 to 23 cm long and 5 cm wide. Each bundle weighs approximately 115 grams. 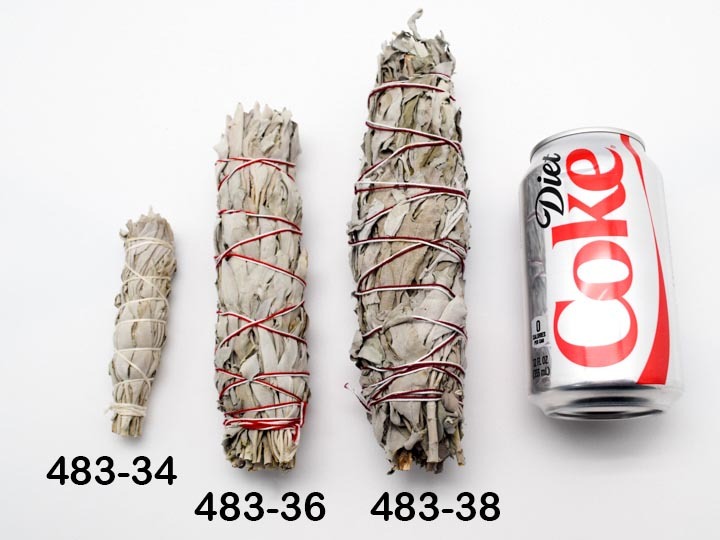 We also have Economy bundles, which are skinnier, smaller and/or have more twigs than the regular bundles. There are no export controls on this item.